What is the Function of Viscous DT Timer? 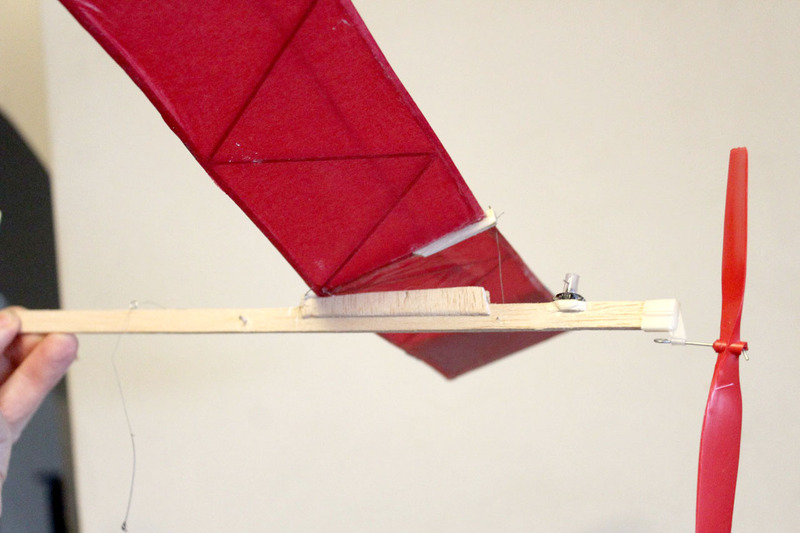 To stop the forward flight path of the model airplane and bring it safely down to the ground after a specified time period. Often the model is rising in a thermal air current which most likely would cause the model to be lost if not for the DT (dethermalizer). 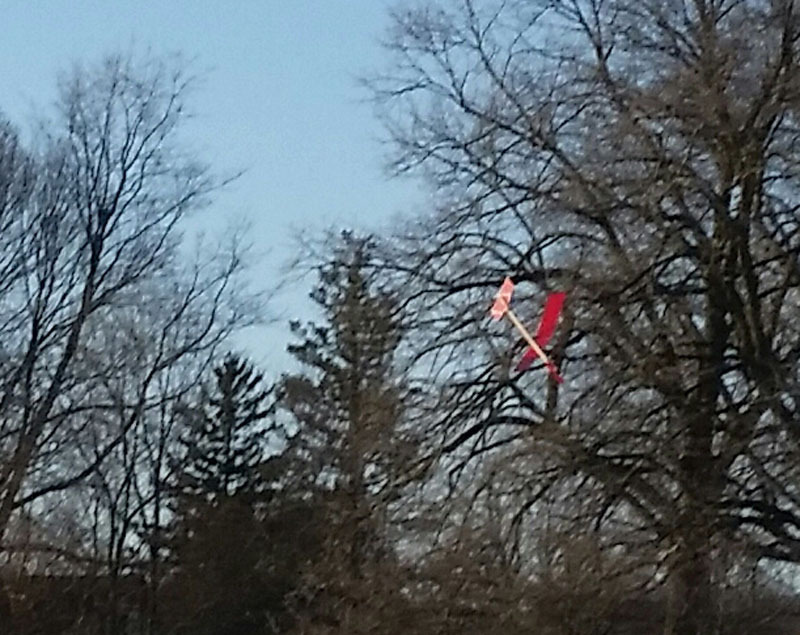 Dynomite Discuss Launch is coming down from DT as entire tail boom pops up. 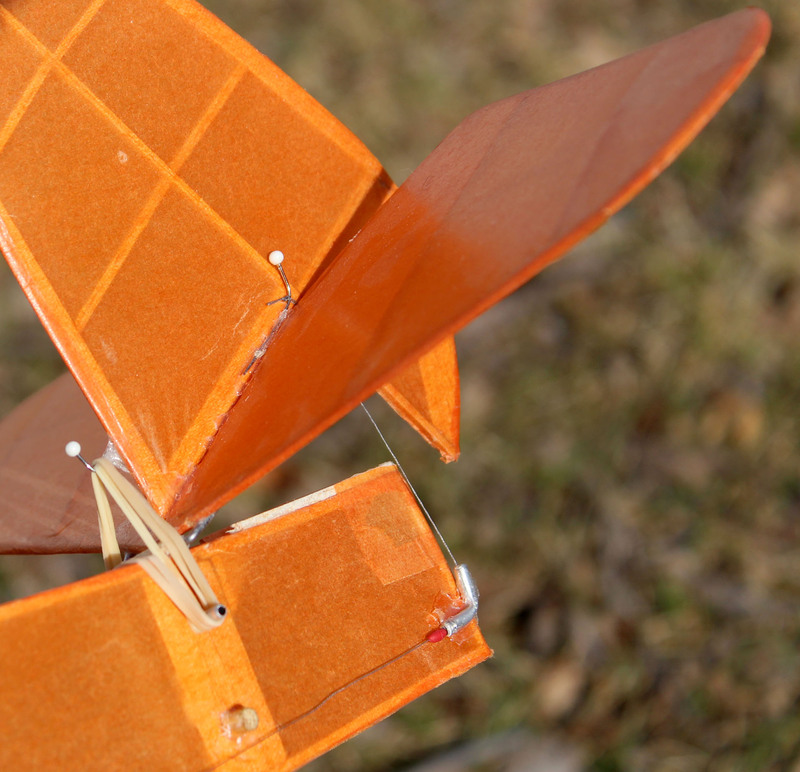 More commonly DT systems were used in larger free flight competition models but it is possible to use a viscous DT system in a small beginners rubber powered model such as this Blue Ridge Special, cost for completed model should be well under $10. 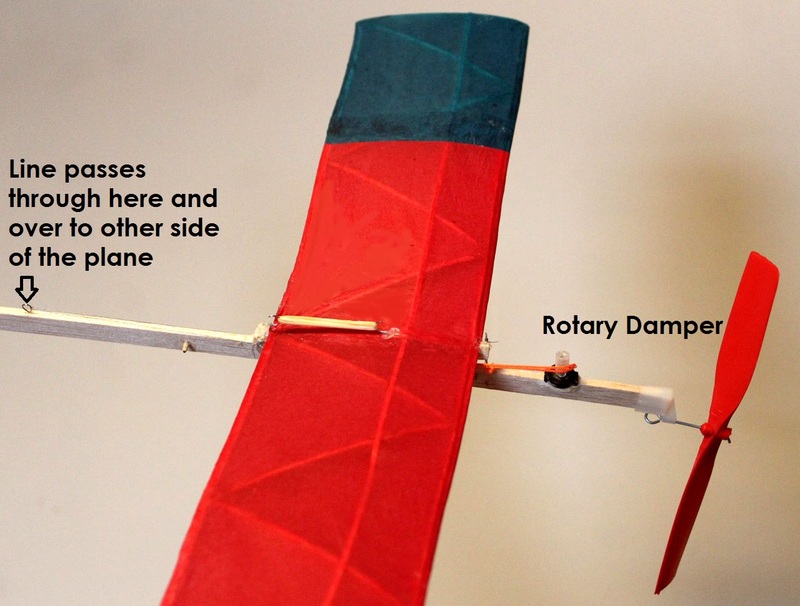 On larger models it is more common to pop up the rear of the stabilizer of the plane but on small models raising the front of the wing or ejecting it completely from the plane can be more effective in bringing it down from strong thermal lift. Rotary Damper – this provides the resistance to a pulling force so that the cycle before the DT takes a longer time period. Unmodified rotary dampers for model use, gear is replaced with an arm. Elastic Tension Component – this most commonly is a tension spring made from steel but could also be a strip of rubber or elastic cord. “Damper is a device that deadens, restrains, or depresses.” It slows down motion for the reduction of vibration, noise, and machine component wear. Very common damper is the shock absorber used in all vehicles, this is a linear damper as motion is in a straight line. 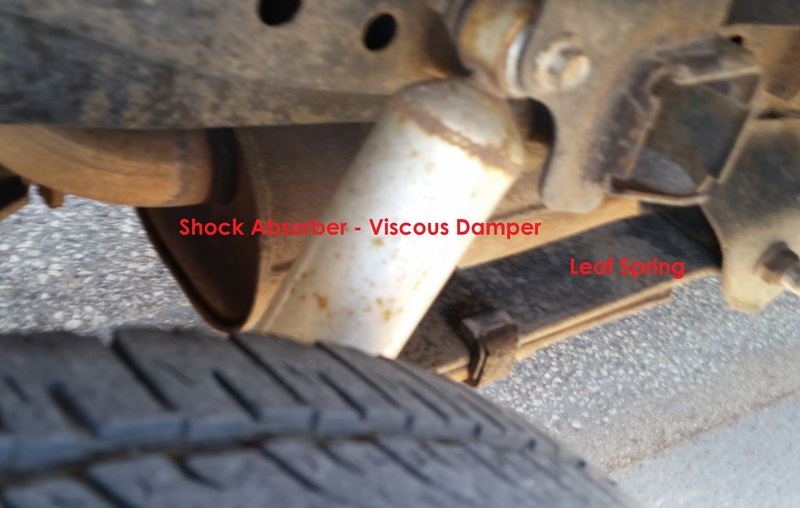 A shock absorber is a mechanical or hydraulic device designed to absorb and damp shock impulses. this is done by converting the kinetic energy of the shock into another form of energy (normally heat) which is then dissipated. The shock absorber and spring work together to absorb road shocks, without the shock absorber the vehicle would bounce after every bump. 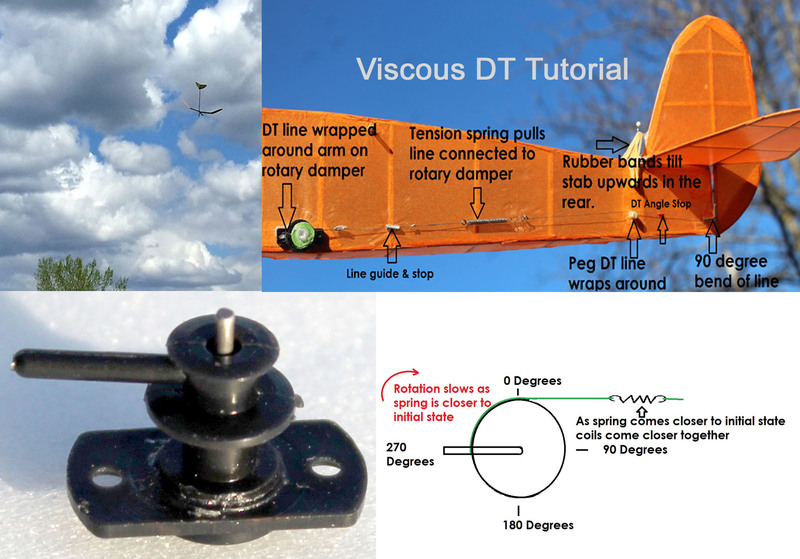 The viscous DT timer normally uses a “rotary damper”, that is rotary motion is dampened. This means the damper rotates around an axis. 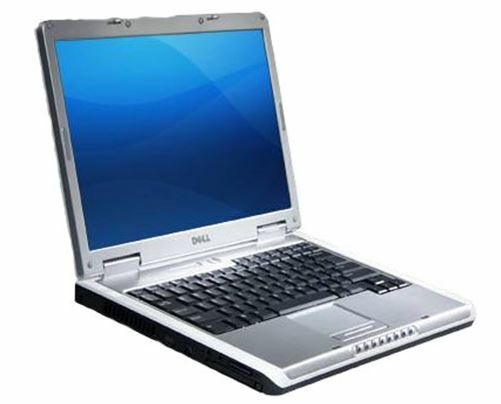 A common application for a rotary damper would be in a hinge such as in the screen on a laptop computer. To understand why the rotary damper rotates at a slow speed we must learn what a viscous fluid is. Simple definition; viscosity is the quantity that describes a fluid’s resistance to flow. For liquids, it relates to the concept of “thickness”; for example, honey has higher viscosity than water. Inside of the rotary damper there is a component connected to a shaft that turns slowly in the viscous fluid. Badge B7 DT timer is a popular unit designed for model use, image at the right shows the bottom removed and the viscous material. 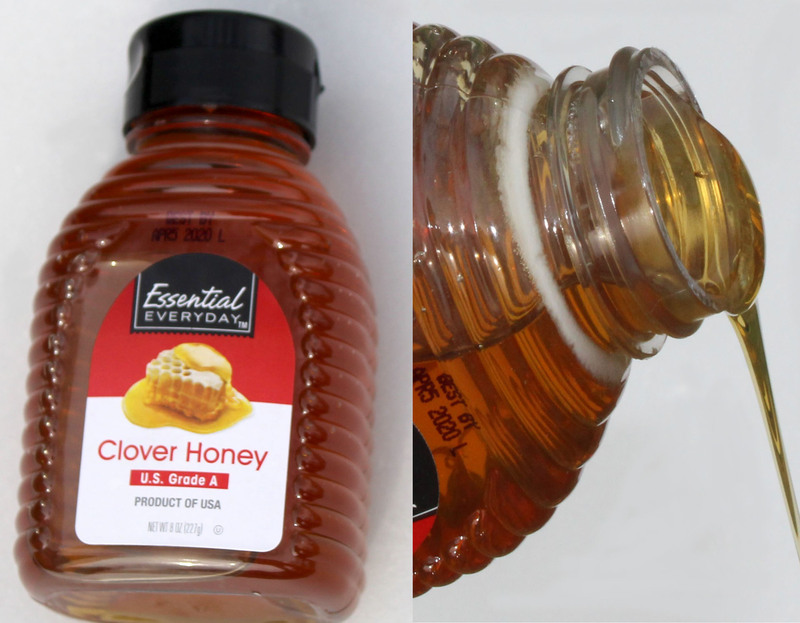 Because it is more viscous than water, honey will pour slower. Viscous fluids change with temperature becoming thicker when cold and thinner when warm. For oil in a vehicle engine it is important to use the proper viscosity oil for the intended temperature range the vehicle will be operated in. Changes in temperature will be a big factor in accuracy of the viscous DT timer. 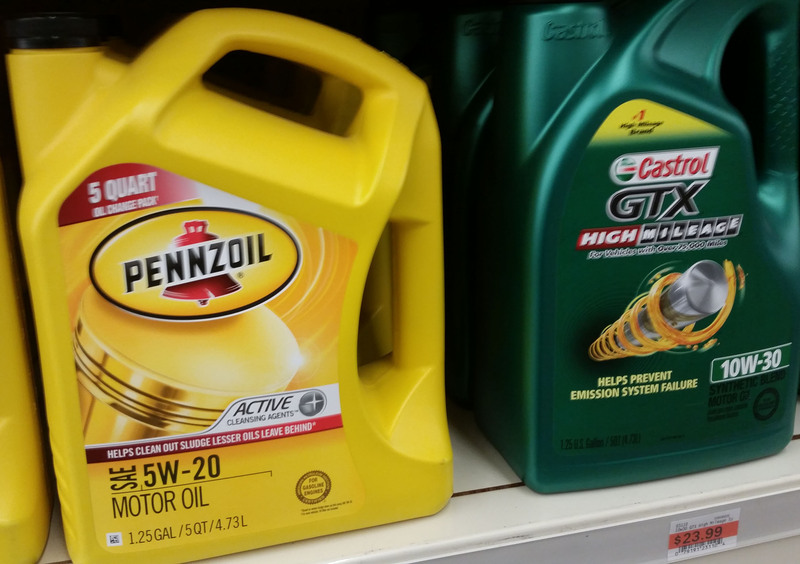 The oil grade specification on motor oil refers to the viscosity of the oil. A higher viscosity oil, such as 10w30, will flow slower at low temperatures compared to a lower viscosity oil like 5w30. … A higher viscosity or thicker oil will seal better than a low viscosity oil. 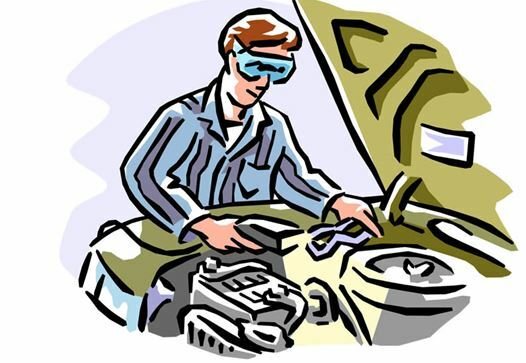 A thicker oil will also provide better lubrication of critical engine parts. Materials known as “shear-thinning fluids” behave like a fluid when agitated and then settle into a near solid state when at rest. House paint is an example of this and it is a good property for the paint to have. 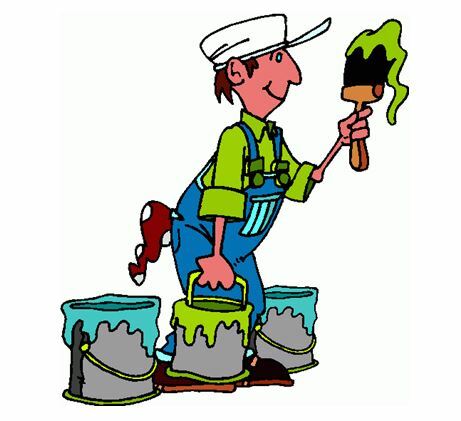 When the paint is applied by brushing, a roller, or spraying the applied shear stress reduces the paint’s viscosity to the point where it flows freely on to the surface to be painted. After the shear stress has been removed the paint returns to the resting viscosity so it is less likely to run or drip. What is a damper and what are some examples of dampers used in common applications? What is meant by a rotary device? How do the properties of the viscous fluid change in regards to temperature and why would this be a concern with a viscous DT system? A linear force pulls the rotary damper, the material providing this force has the property of “elasticity” the ability of material to resume its normal shape after being stretched or compressed. 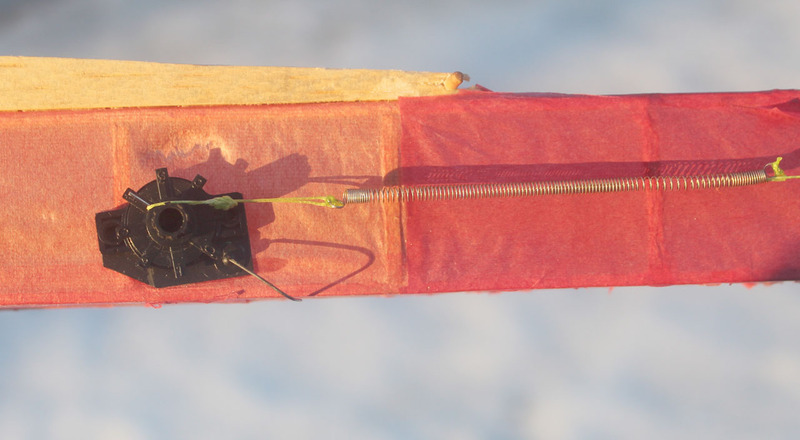 Although rubber and elastic cord have been used for this purpose the tension spring has been used more commonly. As the spring is stretched out it will store potential energy. 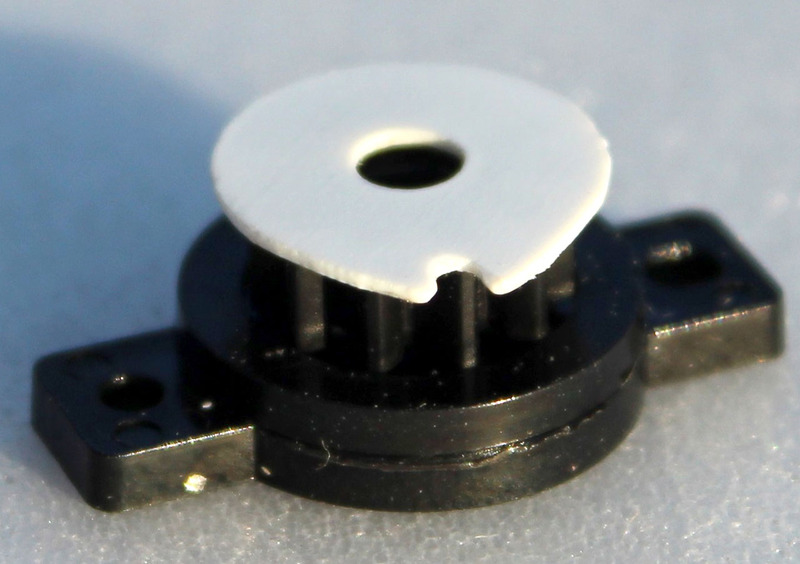 The initial state of the tension spring should have the coils touching with no gaps in between. With a completely elastic cycle the spring should return to this state again after being stretched. 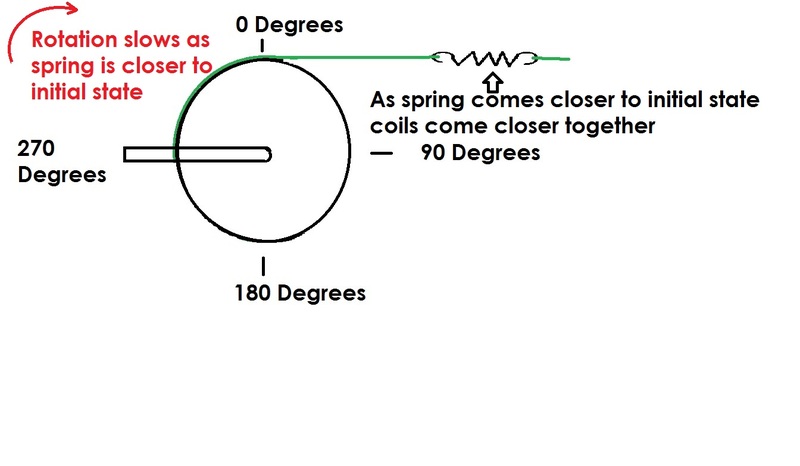 As a force is applied stretching out the tension spring, there will be gaps between the coils of the spring. Larger diameter coils make for a spring that stretches easier. Coils that are smaller in diameter will give a stiffer spring. The length of the spring and diameter of the coils is important from the proper pull on the rotary damper. Diameter and makeup of the metal in the spring are also factors. As the spring is stretched beyond a certain point the elastic properties of the spring will be permanently altered, “elastic limit” . The linear angle that is plotted in the graph will change from a line as this stress region is entered. 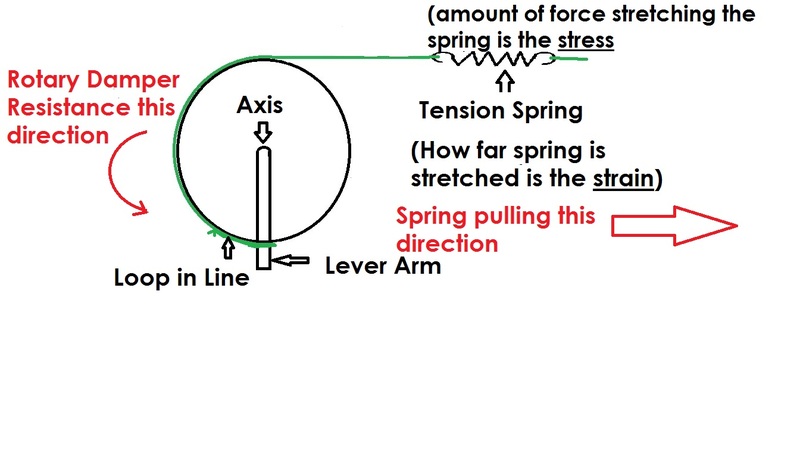 The distance the spring stretches is referred to as the “extension” in Hooke’s Law and is proportional to the force stretching it, the “stress”. Strain = extension / original length note: Strain has no units because it is a ratio of lengths. 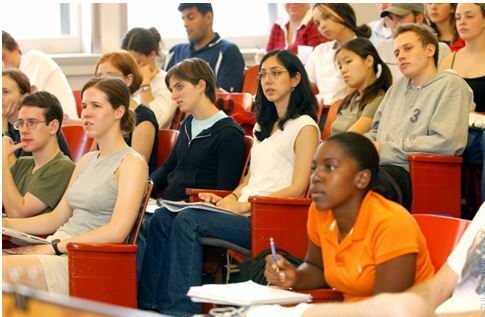 Hooke’s Law – Stress is directly Proportional to Strain. Named in honor of its discover, Robert Hooke (1635–1703) the English scientist, mathematician, and architect. “The force (F) needed to extend or compress a spring by some distance X scales linearly with respect to that distance. That is: F = kX, where k is a constant factor characteristic of the spring: its stiffness, and X is small compared to the total possible deformation of the spring. After the line is connected to the moment arm that is connected to the rotary damper, the rotary damper is rotated opposite in direction to the direction it will unwind. 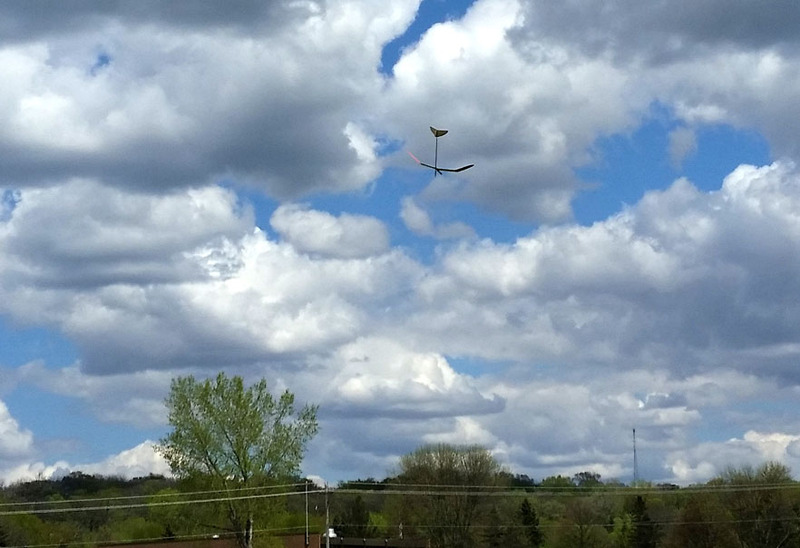 As the spring stretches out this stores potential energy that will be used up as the rotary damper unwinds. To get a long cycle we want this energy to be used up very slowly. Using energy slowly is low power. 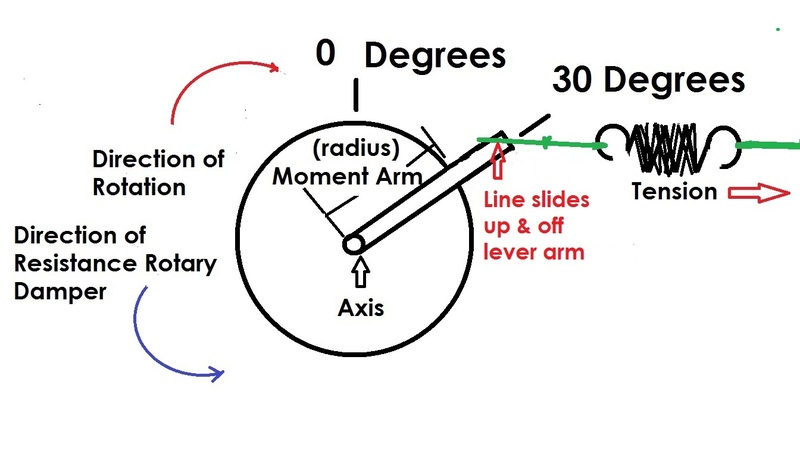 Effective Length of Lever Arm is from Axis to the Point of Force, this is known as the “moment arm”. Torque = magnitude of the force x length of the moment arm when pulling at 90 degrees to lever arm. As the angle changes from 90 degrees the force will be less based on a trig function of the angle. 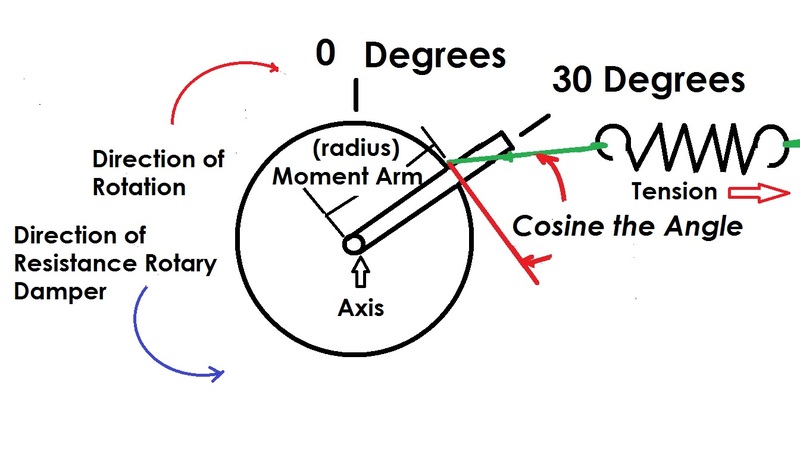 As the lever arm moves past 0 degree position the line is no longer pulling at 90 degrees and the pulling force will be less. As the loop at the end of the line slides up the lever arm the line will release pressure on the line holding down the surface to DT. The plane will now DT. By operating three different viscous DT timers with different rotary damper components my data of recorded DT times lead to some discoveries to the properties of viscous fluids. I noted that the first couple cycles through were always longer and then the times were more consistent. 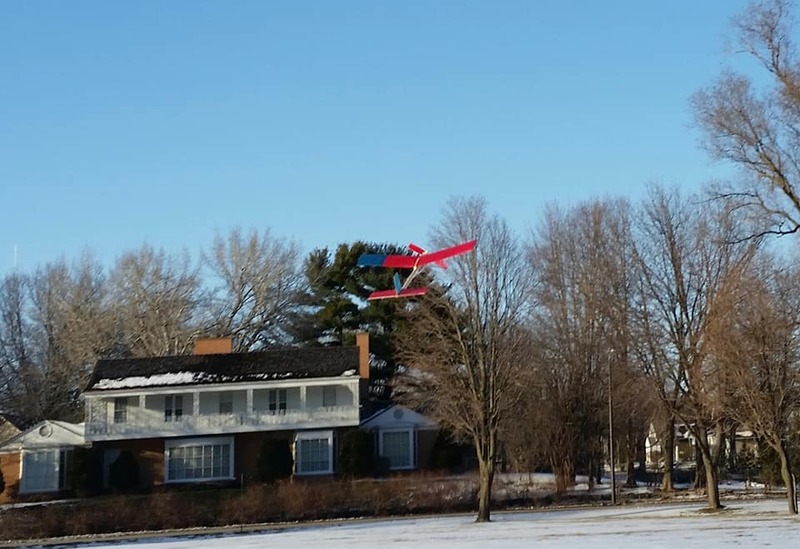 This lead me to ask experienced model airplane modelers if they had seen this behavior and they had. 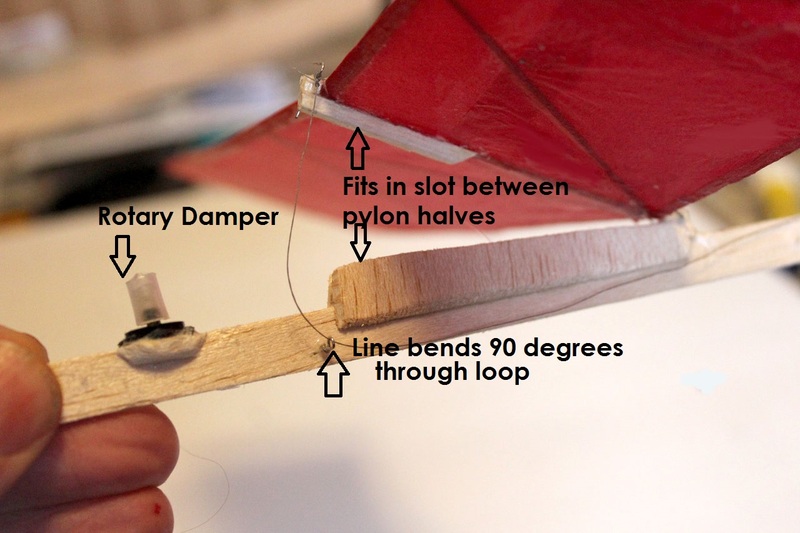 Their solution was to turn the rotary damper manually at least a couple of times before using it in a flight of a model airplane. When the rotary damper has rotated to a certain spot, the loop portion of the line slides up the arm and comes off. The plane will now DT. With the DT line lose from the rotary damper the tension of rubber bands on front of stabilizer will cause it to pivot upwards until it hits a stop. The angle is normally around 45 degrees but varies between types of models. 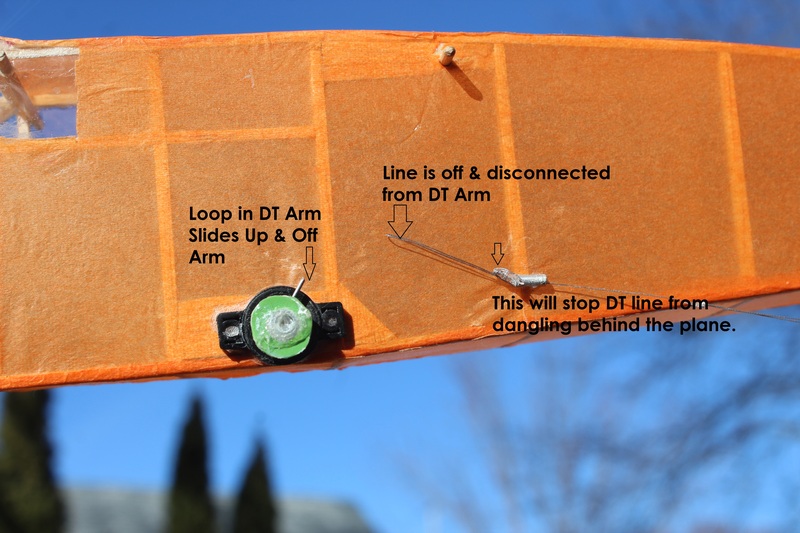 To learn the characteristics of my viscous DT systems I find it helpful to attach the rotary damper to a board and the end of the DT line around a peg of some type so I can easily adjust the tension of the spring. I then time the DT cycle of the from a certain start position until the line releases from the rotary damper arm. If you record the times at different segments of the cycle what do you think will notice in regards to the speed of rotation? 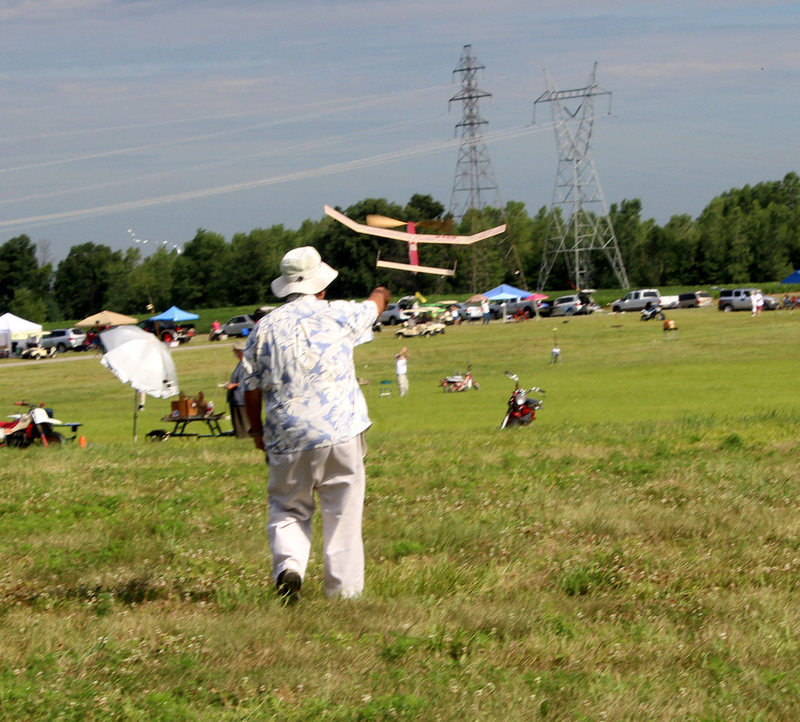 At a free flight contest a “max” flight is normally 2 minutes. Try to adjust the tension on your timer spring so that one revolution of the timer arm takes as close to 2 minutes as possible.